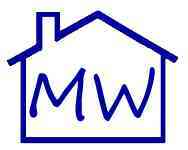 Manning and Woods Ltd - Bathrooms, Builder, Kitchens, Painter/Decorator, Plumber based in Haughley, Suffolk. Manning and Woods Ltd was formed by the merger of two respected family firms in 2012 and is based near Stowmarket in Suffolk. We are passionate about providing pragmatic, cost effective solutions for your building and property maintenance needs. We offer a full service across all trades. We have an open and honest relationship with our customers and together with the trusted, experienced craftsmen we employ, we can always offer an excellent service with work completed to our very highest standards, on time and within budget.